Today we're excited to share our latest creation with you - ION. ION is the desk lamp re-imagined. 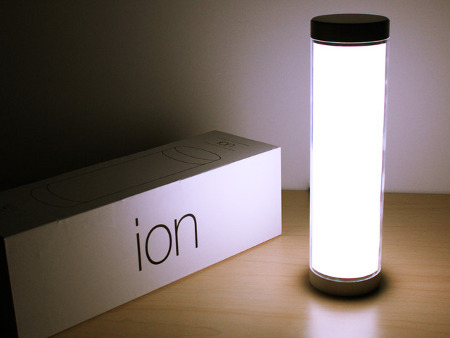 ION is a light show for your desk, dorm room, or living room. It responds to music, connects to your phone, and brightens your day! Constructed from anodized 6061 aluminum and durable acrylic, ION is built to last. We've gone through several revisions over the past year and built numerous prototypes. Our design is finalized and we now have finished IONs in our hands. At this point we need YOUR help. We've just launched ION on Kickstarter.com. You can back us to secure one of the first IONs ever built and help us reach our target goal. I could go on and on about features and what it looks like, but the pictures and video really are worth 1000 words. Thank you, everyone. We can't wait to share ION with you.